The end of Movember is rapidly approaching, and that means soon there’s going to be a run on razor blades as some men return to their clean shaven ways. I’m not quite sure why anyone would want to do that, but to each their own I guess? 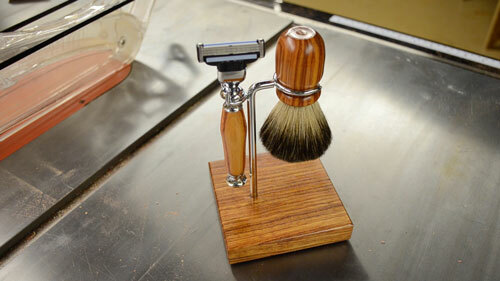 So in today’s episode we’re making a stylish, and custom razor from a turning kit that’s readily available at woodworking retailers such as Woodcraft.com. It’s a fun and easy project that once again let’s you use up some of those scraps you have laying around, or maybe you found something in the exotics bin that looks just too good to pass up. Strop those disposable blades on your jeans once in a while and they’ll last forever. Much cheaper than those blade-by-mail services. YouTube videos on this practice abound.